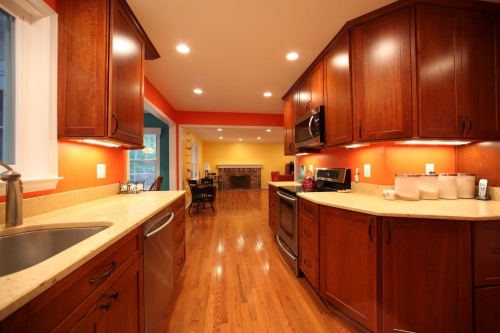 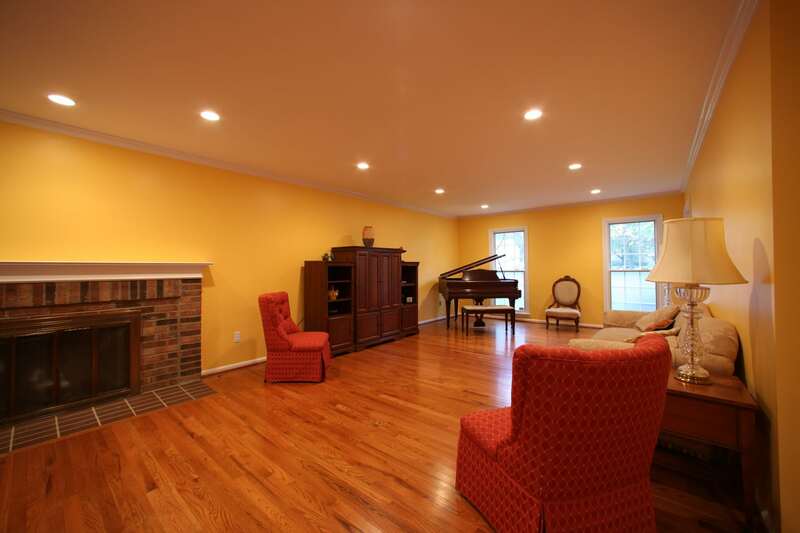 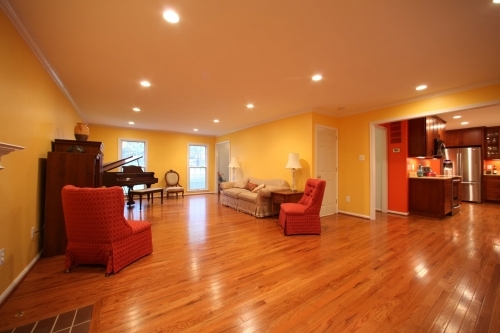 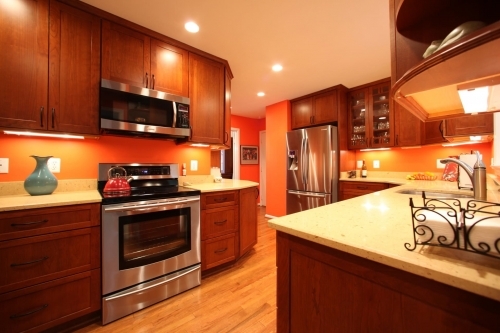 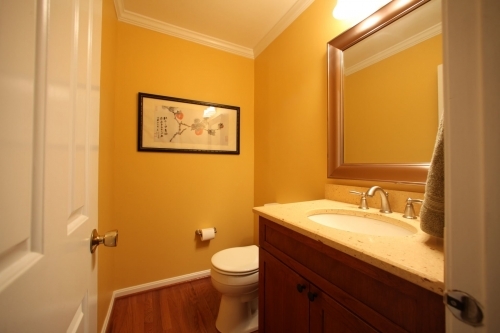 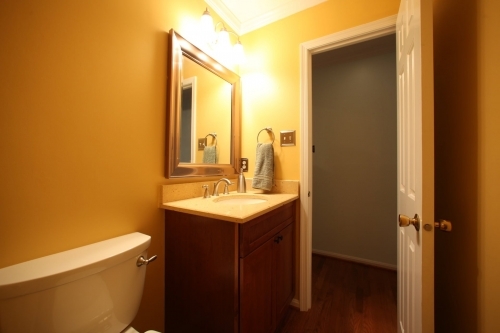 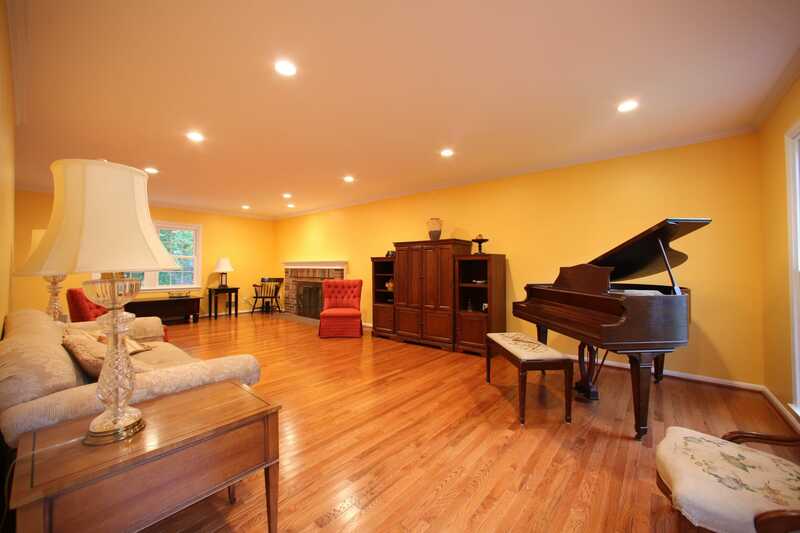 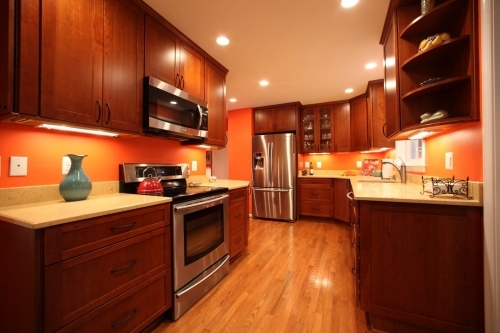 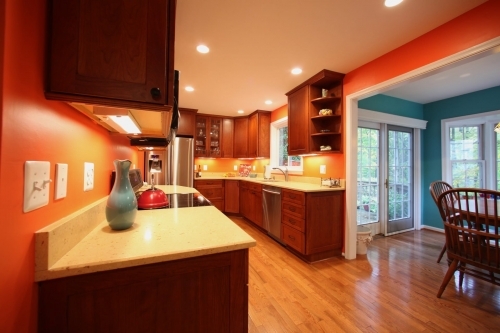 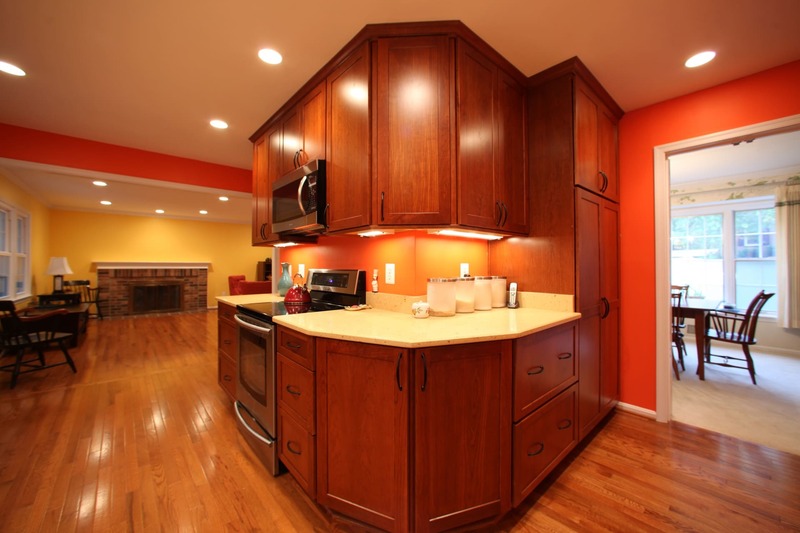 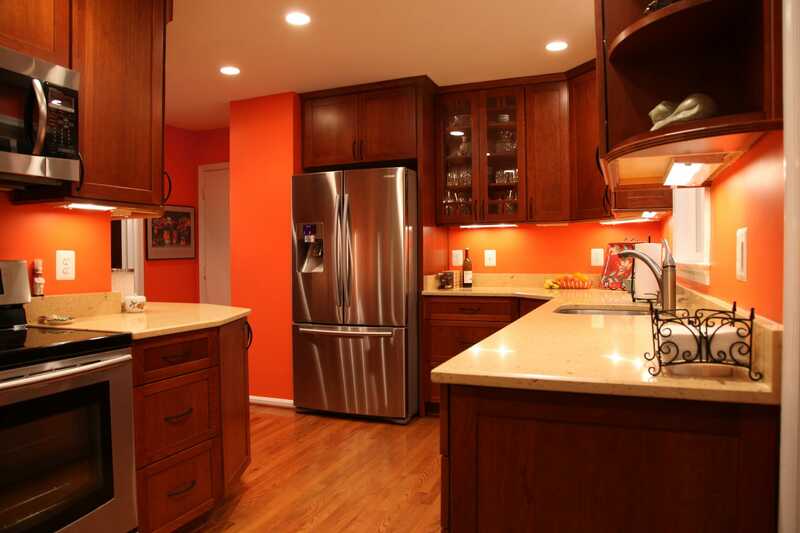 Completely remodeled to open up the living area and to provide a bright, contemporary feel. This kitchen, living room, and bathroom were completely remodeled to open up the living area and to provide a bright, contemporary feel. 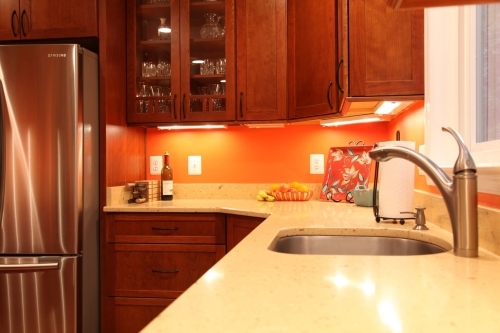 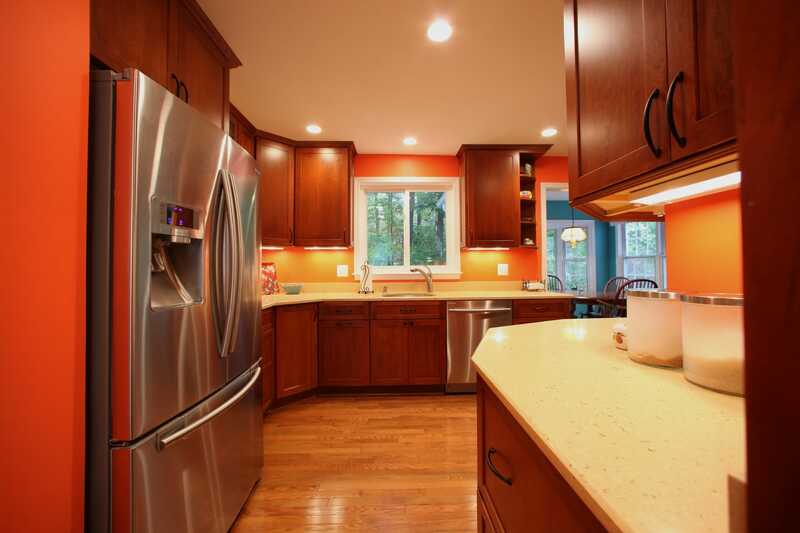 Silestone countertops and cherry cabinets line the kitchen and accompany stainless steel appliances. The living room was originally two separate rooms that have been joined together as a large open space, finished with trim work and recessed lighting.